Andrea Fischer is a seasoned qui tam (whistleblower), business law, complex case, and bankruptcy litigator. 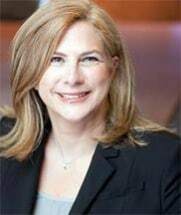 She is an experienced litigator, and has successfully prosecuted cases in many areas, including; fraud, complex commercial disputes, bankruptcy litigation, and qui tam cases. Prior to founding the Fischer Legal Group, Andrea was a founding partner at another prestigious New York qui tam law firm. She is admitted to the bar in New York and Florida and now practices in both New York and Florida. In her years of practice, she has successfully handled all phases of complex litigation. She is known for her tough negotiation skills and is often sought out for these skills. In addition to business law litigation and her qui tam practice, Andrea has represented constituents in all areas of the bankruptcy arena. In her bankruptcy practice, Andrea is often retained by clients for her bankruptcy litigation work, frequently involving fraud.